You can usually rely on Agent Red to deliver the best wineries in the world, but sometimes those wineries are just plain hard to infiltrate. 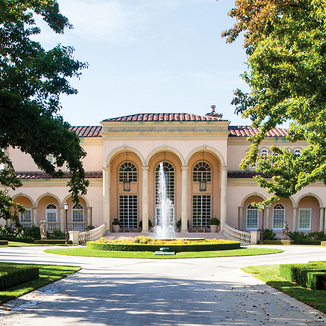 Ferrari-Carano has been on Red’s radar for more than a dozen years - but this popular winery just keeps selling out. 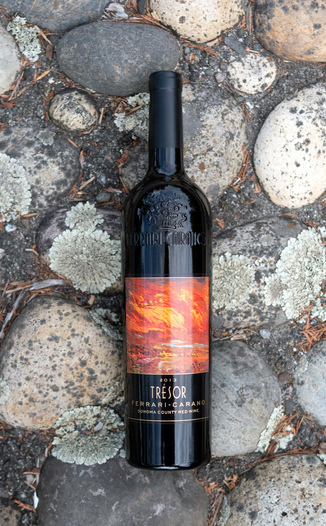 At long last, Red’s persistence has paid off - and we have their flagship Trésor Red. Light barely passes through this dark maroon wine with excellent color consistency. The nose is fragrant, clean and a bit spicy with aromas of dusty bramble, dried strawberries, subtle gardenia and oak notes of cedar. On the palate, the spiciness takes on a note cinnamon and red pepper, while the fruit develops as black currant and dark plum with fruitcake overtones. It’s a full-bodied wine with enough tannin to get your attention, but its the fruit-forward ripe flavor that defines this wine. Perfect for taco night! Pollo, al pastor, or carne asada will work equally well. 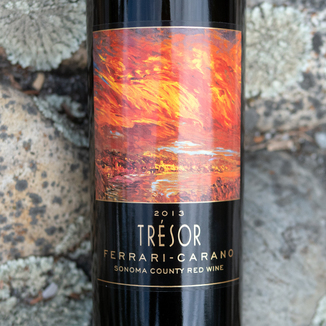 Today’s Ferrari-Carano Vineyards & Winery 2013 “Trésor” Sonoma County Red Wine is declared by the winery to be a collector’s wine, and we have to agree. While this wine is drinking beautifully right now, collectors will be rewarded by laying a few bottles down to enjoy over the next decade. This wine is Ferrari-Carano’s flagship wine. It is, in a word, their best. 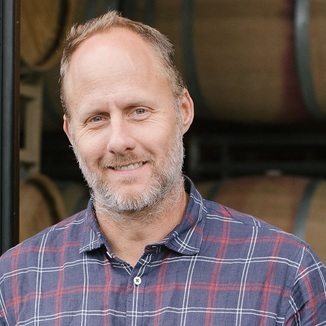 The wine is assembled from grapes from the winery’s finest vineyard blocks in Sonoma County’s Dry Creek Valley and Anderson Valley. We’re very proud to be featuring this award-winning wine, today, and we promise to bring you more brilliant Ferrari-Carano wines in the future! Light barely passes through this dark maroon wine with excellent color consistency. Dusty bramble, dried strawberries, subtle gardenia, and oak notes of cedar. Cinnamon, red pepper, black currant, dark plum, and fruitcake. Full-bodied wine with enough tannin to get your attention, but its the fruit-forward ripe flavor that defines this wine. Perfect for taco night! Pollo, al pastor, or carne asada will work equally well.